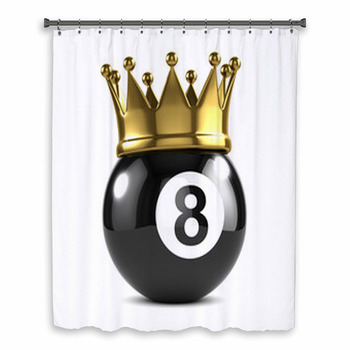 Turn your home into the billiard hall of your dreams with our pool shower curtains and attractive bathroom décor. 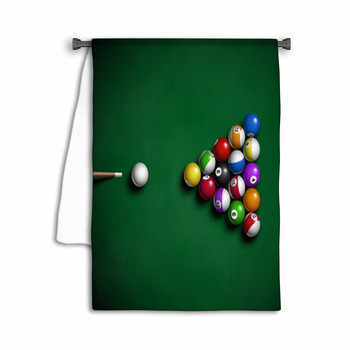 Those that love this game understand the beauty of the smooth green felt, the rainbow of polished balls and the sound of a perfect shot as it taps the pocket and sinks into the leather. 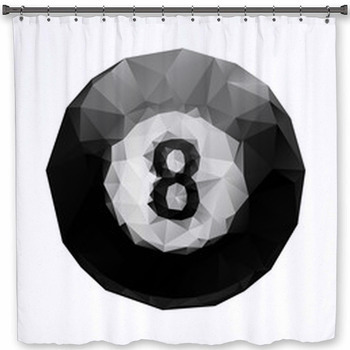 Pool is more than just a game, its a way of life. Culture icons like Paul Newman in The Hustler stand out in our memories and imaginations. Fortunes are made and lost in this game of mathematical precision and cool temperament. 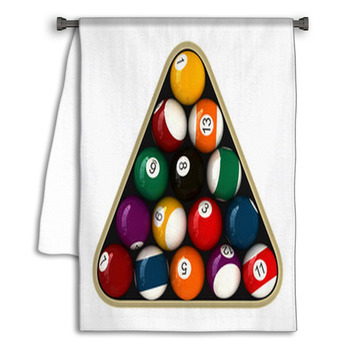 Our bath mats, shower curtains and towels bring the game to life and are decorated with all the symbols and images that make this billiards, pool and even snooker great games. 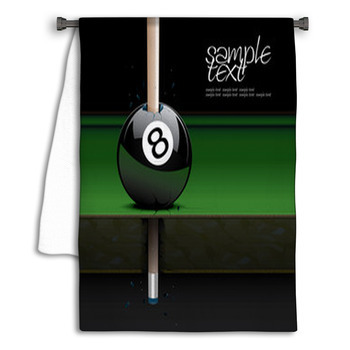 The classic black eight ball stands alone in a powerful symbol, a game can be made and lost depending on this certain shining ball. An image of all the balls racked inside a wooden triangle is gorgeous and full of vibrant color that gleams in the overhead light. The simple items of this game are truly aesthetically pleasing to the eye. 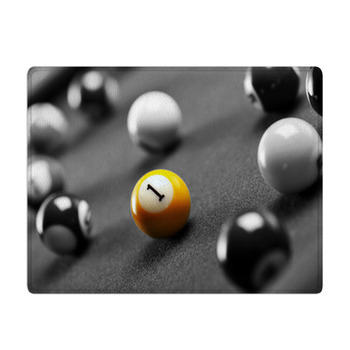 A picture of the straight cues lying upon a clean table will make you want to head down to your local bar and start up a game. 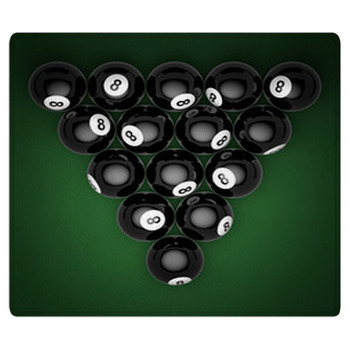 One illustration even shows a cue smashing right through the center of a ball and coming out the other side. 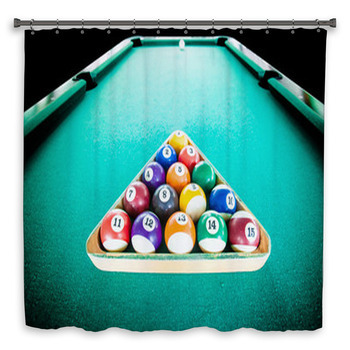 If you have your own pool table, these shower curtains and bath mats are an excellent way to decorate your home for when you have company over to play a few games. 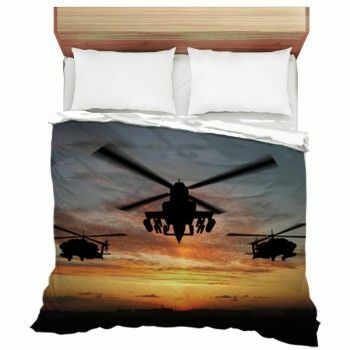 And if you don't, it will remind you to head out and practice your shot. 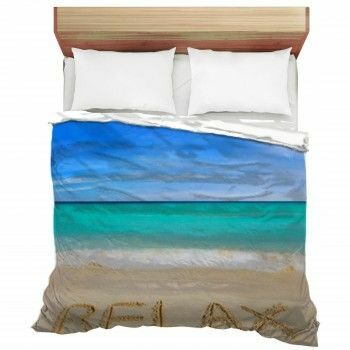 Make your entire home a pool paradise with our pool bedding, pool pillows and pool wall art for every room in your unique home. 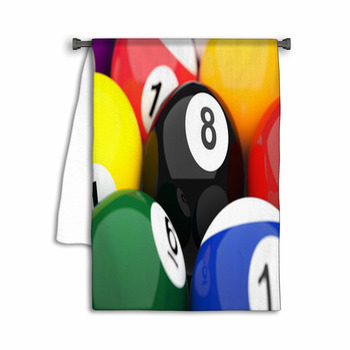 Teenagers love the game, so don't forget to decorate their spaces as well. 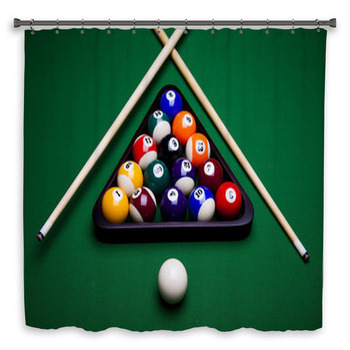 Why wait to enjoy your favorite pastime at the pool hall when you can enjoy it without leaving your home.